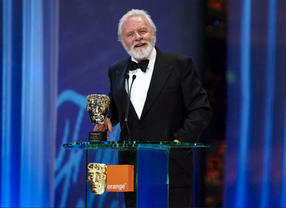 Sir Anthony Hopkins was awarded the Fellowship, the Academy's highest honour at the Orange British Academy Film Awards in 2008. Quentin Falk profiles an a truly remarkable actor. 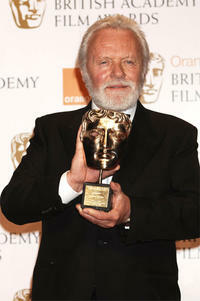 BAFTA / Camera PressAt 70, Sir Anthony Hopkins has become the master of re-invention. Exactly 40 years after he made his film debut in The Lion In Winter – earning his first BAFTA nomination as Richard the Lionhearted – acting for Hopkins has now become arguably his third creative priority after music and painting. Talking late last year at the launch of Beowulf, in which he enthusiastically embraced the new technology of “performance capture” in his animated role as gruff King Hrothgar, Hopkins explained: “I enjoy working as an actor but I’ve become much more laid back about it now. “I’ve got to an age where I can sit back and be a bit more selective. If they want me to work and if it’s a good script, I’ll do it. The less interested I am, the more they keep offering me roles. BAFTA / Richard KendalHe might have added that not only has he now been exhibiting his paintings with some success but he’s also been accorded the odd public concert of his symphonic music. Of course, the truth is, “they” do still keep wanting him, he remarks disarmingly, to “act a bit.” Recently, for City Of Your Final Destination, he was re-united for the first time in a decade with director James Ivory with whom he enjoyed two of his greatest screen successes, The Remains Of The Day and Howards End. Even as you read this, Hopkins, BAFTA’s newest Fellow, is making one of his rare filmmaking forays back in the UK co-starring with Benicio del Toro at Pinewood Studios in a lavish remake of Universal’s classic 40s chiller, The Wolf Man. Now an American citizen and Malibu resident who, nevertheless, celebrated his three score-and-ten with a New Year’s Eve party in his native South Wales, Hopkins’s status as a global superstar has been comparatively late flowering. Then the script for The Silence Of The Lambs dropped through his letterbox and everything changed. 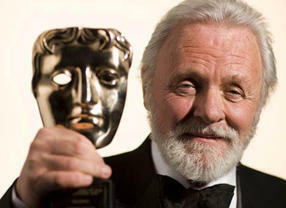 The role of Dr Hannibal ‘The Cannibal’ Lecter – whose curious far-off voice was inspired either by Katharine Hepburn or 2001 – A Space Odyssey’s HAL the computer (Hopkins variously credits both) – earned him a Hollywood Oscar at first attempt and the second of, to date, three BAFTAs for Best Actor (flanked by TV’s War And Peace in 1972 and Shadowlands in 1993). In 1991 he was knighted. Hopkins’ gift for re-invention also extends beyond his natural gift for mimicry into what is a remarkable chameleon quality as an actor. Which is probably why he has done more than his fair share of biopics. Greg Williams / Art+CommerceOn TV, Hitler and Hauptmann (the Lindbergh baby kidnapper) earned him Emmy awards while on the big screen he has played, among many others, two US Presidents, CS Lewis and Picasso.